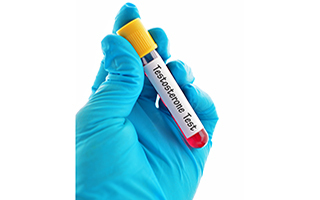 Unfortunately there are a lot of men out there who need testosterone replacement, but they aren't getting it. Why? It's because their doctors are afraid to prescribe it anymore. Or it's because they're afraid to take it. And why the fear? A little over a year ago, the FDA changed the labeling on testosterone drug products to include warnings of increased risk of heart attack, stroke, and death in men using testosterone. They did this as a result of two very poorly done studies showing an increased risk. This was done in the face of a multitude of studies showing the exact opposite — that testosterone replacement actually decreases the risk of cardiovascular disease. And now a brand new study, the biggest of its kind so far, is showing the same thing — testosterone therapy saves lives. The article is entitled, "Normalization of testosterone level is associated with reduced incidence of myocardial infarction and mortality in men." It was published in the European Heart Journal just three months ago. The researchers looked at 83,010 men with no prior history of heart attack or stroke who had low testosterone levels. They divided the men into three groups. They gave group 1 enough testosterone to bring their levels into the normal range. They gave testosterone to group 2 also, but did not give them enough to bring their levels to normal. The unfortunate guys in group 3 did not receive any testosterone, and just stayed with their already low levels. So, surely, since testosterone is so dangerous, the groups getting it did worse, right? Not so fast. First, let's look at the death rate from all causes. Overall mortality was 66% less in group 1 than in group 3, the no-hormone guys. The risk of having a heart attack was 24% less, and the risk of a stroke was 37% less. So much for the dangers of testosterone replacement. But what about the guys in group 2 who got a little testosterone but not enough? The small doses didn't do a thing for them. Their overall death rate and risk of heart attacks and strokes was the same as the men who didn't get anything. So what can we take away from this incredibly huge and well done study? It's obvious. 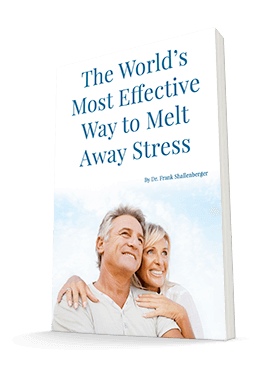 Adequately replacing your testosterone levels does not pose any risk at all. In fact, the only risk is for those men who choose not to replace the hormone or who take sub-optimal doses. I've written about the marvelous health effects of testosterone many times before. I've also exposed the ridiculously poor studies that caused the FDA to put the unnecessary warning labels on testosterone. You can access these articles in the archives. And I really hope that this study will finally convince both doctors and patients that depriving a man of testosterone replacement is just not a safe thing to do. Sharma R, Oni OA, et al. Normalization of testosterone level is associated with reduced incidence of myocardial infarction and mortality in men. Eur Heart J. 2015 Oct 21;36(40):2706-15.